Ida Hekesi brings accumulated insight and experience from her background in financial administration, commercial banking, event management, marketing and strategic planning. Now in the private sector Ida would like to see the Chamber continue to work towards creating a positive political climate for business growth, promote economic and community development and be instrumental in the support of local business and workforce development through collaboration and innovation. Prior to her position with the Niue Chamber of Commerce Ida has been on regional boards, set up the first Niue Tourism Information Centre on virtually a zero budget and was also Director for Tourism until moving to the private sector in 2009. Today, Ida is the co-owner with husband Albert Hekesi of Stone Villas (Niue’s very first Eco Photovoltaic Solar Limestone Tourism Accommodation) and Stone Solutions (Architectural & Building Business). She also serves on the Niue Chamber of Commerce Board and the Niue Development Bank & Kiwibank Agency Board and helps out whenever requested by different sectors. In the little spare time she has Ida enjoys vintage browsing, reading, cooking, and interior decorating and especially spending time and relaxing with her beautiful family. John “retired” back to Niue in 2015 and currently runs KPM Property Management based in Alofi. He obtained his builders certification in New Zealand prior to returning to Niue full time. He also runs a Jewellery Workshop in Niue manufacturing gold and sterling silver charms for the tourist market, designs and manufactures diamond and wedding rings, does restoration of jewellery and repairs watches and clocks and fits watch batteries. He has recently been appointed as a Justice of the Peace for Niue and has been on the Board on the Niue Chamber of Commerce for two years. In New Zealand he was a manufacturing jeweller for 50 years and owned Kaulima Jewellers in Mt Albert for 12 years. He was also the Honorary Consul General for Niue in Auckland. He was Deputy Chairman of Auckland Rugby League and actively involved with the management of rugby league and Niue sports in New Zealand for over twenty years. Coral runs her own consultancy business Sustainable Pacific Consultancy and is contracted by the Green Climate Fund as the GCF’s Regional Adviser in the Pacific. Immediately prior to this she has undertaken a number of consultancies with international institutions including PIFS, SPC) philanthropic organisations (Oceans 5, UOW) and countries (Palau) on issues covering access to climate finance, sustainable development and management of natural resources and effective engagement in global sustainable development agreements and processes. Coral is currently President of Tofia Niue, managing the Niue Ocean Wide Project in partnership with the Government of Niue. Prior to self-employment, Coral worked for the Pacific Islands Forum Secretariat for nine years as their most senior adviser on Regional and International Issues and Relations, and as Acting Director of Strategic Partnerships – prior to this she worked for SPREP as their Sustainable Development Officer. Coral is an Earth Scientist and Development Planner by training and over the years has acquired extensive experience on development finance, climate finance, and sustainable development policy at all levels. Esther co-manages Oka-Koa Multimedia Systems with Dess Sioneholo (established 2001) and built up the business from scratch after its complete devastation from Cyclone Heta in 2004. Esther started GEP Consultants in 2013 after five years in politics and senior public service positions gaining both experience in public and private sectors. Esther decided to return to studies at the University of the South Pacific in 2015 and will complete at the end of this year a Diploma in Leadership, Governance and Human Rights. A public relations and media buff with stints as a television presenter and radio host, she currently hosts Niue’s weekly national talk back programme on Friday afternoons for the Broadcasting Corporation of Niue on Radio Sunshine. Sefeti was bought to Niue by the Government in 1987 to work for the Housing Authority to build houses in Niue and he has stayed ever since. He has been in the private sector for 23 years, since 1995, and has been operating his own building business Fatiaki Contracting. He is also the co-owner of Hina’s Laundromat Services since its establishment in 2005. He has been in the Alofi North Village Council for over twenty years and is still currently serving as a Village Council member. He has also assisted in establishing Monuina Fishing. He has been a member of the Niue Chamber of Commerce, along with his wife, since 2006. Sefeti has also been on the Board of the Niue Chamber of Commerce since 2006 and is the Chamber’s longest serving Board member with a 90% attendance. Sefeti was also instrumental in establishing NAVA, the Niue Airport Vendors Association and is the current Chairperson of NAVA. Since returning to Niue in 2004, Keith has been busy utilising skills that he picked up whilst travelling and living in the UK for 12 years. Keith has always wanted to return to Niue where he was born and is proud of his roots to the village of Avatele despite living in Alofi with his wife Catherine and young daughters Monuina & Tomiee. A trade qualification in Auto Engineering has been well used within his business Rockbak Bakery – especially when equipment inside the bakery can sometimes mechanically go wrong. BUT why a bakery? – simply because he enjoys baking; and following training overseas to be a baker his focus is on ensuring “quality fresh” baked products. Keith has been a member of Chamber since 2005 but being on the Board has cemented his passion on wanting to ensure that Niue’s future – the children, will have a Niue that is theirs to keep and be proud of and so continue to ensure NIUEAN values, culture and traditions are always taken into account in all aspects of their lives. Mark has been an Executive Committee/Board Member of the Niue Chamber of Commerce since 2015. He brings to the role his experiences as a retailer in New Zealand having owned a footwear chain, as well as founding a company that focused on assisting business start-ups and small businesses. Mark was in politics in New Zealand having been Mayor of Wellington, a Member of Parliament and latterly the New Zealand High Commissioner to Niue. Mark goes into his second full term with the Niue Chamber of Commerce Board as a hands-on business owner/operator with his café, hydroponic produce operation and clothing retail businesses. He brings a vast knowledge of business management in Niue, suitable for being an Executive Committee/Board member and representing the Private Sector. Rich is the co-owner of Stuff IT Niue. The company opened in 2007 and specialises in IT sales and repairs. In 2012, Stuff IT expended to include Project Consultancy to the business. Prior to setting up his own business Rich worked for IUCN as an installer of Wi-Fi in Niue, as a Technician for Government ISO. Prior to moving to Niue, Rich worked for Internet Provider Ihug as a Computer Sales Technician, Helpdesk Technician and as a Sales Representative. He also worked for Carter Holt Harvey as an Accounts Manager and DIBS Confectionary as Production Manager. Rich has a Bachelor of Arts in History and Geography from Auckland University. Fiafia Rex is a returning Niuean. She is a graduate of the University of the South Pacific. Fiafia assists in the running of her family business Falala Fa Restaurant and previously worked at Ridge to Reef. She is a passionate Environment and Marine Conservationist and founded and heads Oma Tafua. Oma Tafua (meaning “to treasure whales”) is a Niuean owned non-government organization dedicated to the conservation and protection of marine mammals. Fiafia also instigated and runs the Niue Whale and Coral Festival. She has been on the Niue Chamber of Commerce Board for two years. Glen Jackson returned to Niue in March 2015 with his wife Elaine and their young family to live and embrace the island life, of Niuean & Tongan decent and from the heart of Alofi, a proud grandson of Rosa Jackson, owner and operator of Rosa’s Bakery. Glen brings a vast of experience in day to day business operations, music and performing arts as well as past experiences gained over the years he spent in New Zealand. A recipient of a Judo Scholarship to Samoa, a trip to Japan for the Friendship Programme called JICA and a two year Mission to Wellington as part of the LDS Church. He was previously a part of the Cross Power NZ scheme with the Government of Niue and was this role that led Glen back to Niue. Glen now dedicates his time to working full time as a Music Mentor and Life Skills Tutor and Facilitator at the Niue High School. 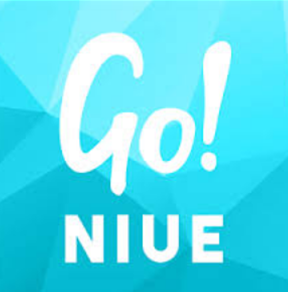 Glen also helps facilitate the Niue Young Entrepreneurs Programme for Year 10 students initiated and delivered by the Niue Chamber of Commerce.